A lot of people seem to think that our greenhouses are as barren as the frozen Wisconsin landscape and that everything just magically appears, all full grown and ready to go, come spring. While we may not have nearly as many customers during the winter months, we still manage to stay pretty busy getting ready for all those spring-fevered gardeners who will begin emerging from their winter dens near the beginning of April. 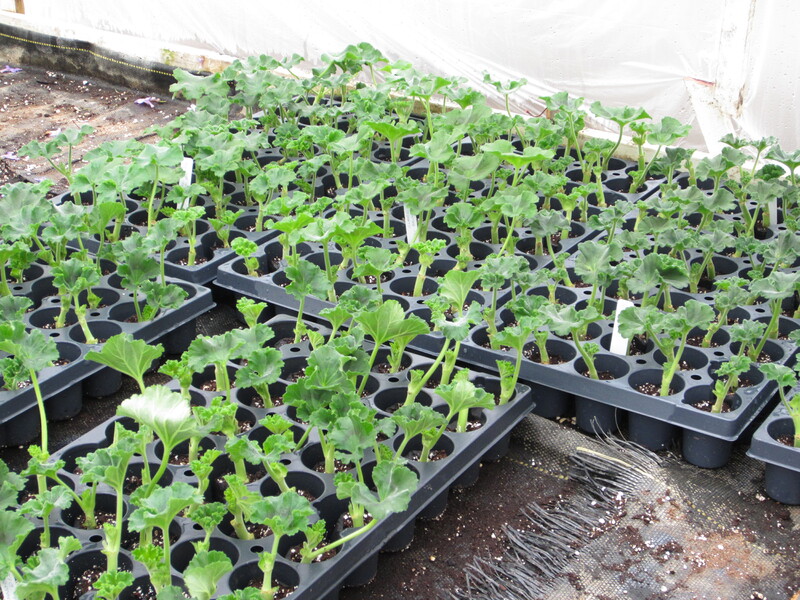 One of our biggest tasks during these cold winter months is propagation. Whether it’s dividing grasses and ferns, cutting and rooting all manner of ivies, geraniums, and sedums, or planting seeds and bulbs, we’ve got our work cut out for us. Each year we grow close to ten thousand plants from cuttings we take here in our own facilities, from geraniums to ivies to sedums to conifers. Of course, we’re careful to make sure we only propagate non-patented plants, since people in the plant world are just as fastidious about their new varieties as any inventor would be about protecting his inventions. This year, we’ve been working on some special projects to get ready for our Fairy/Miniature Gardening Workshop. When it comes time for our workshop, we’ll have a whole slew of sedums, ivies, miniature conifers, and other miniature plants ready to become part of someone’s miniature garden. Another effective method of propagation is dividing. We do this mostly with our grasses and sedges. 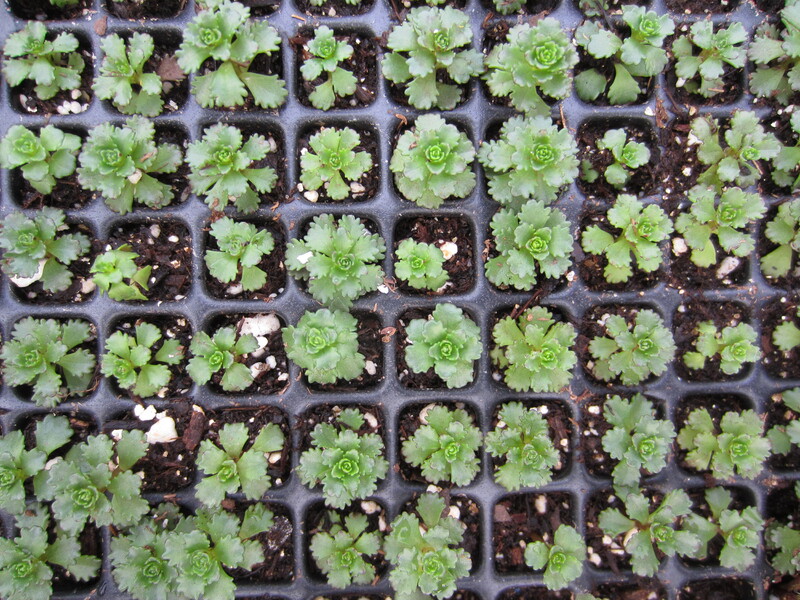 So there you have it–propagation is just one of the ways we stay busy during these cold winter months. Thankfully, things are pretty toasty in here under all this plastic.